Unless we start addressing the causes of climate change and stop simply navigating its effects, we will be facing a series of unstoppable catastrophes by the time our preschoolers graduate from college. Our world is in trouble - right now. This Is the Way the World Ends tells the real stories of the substantial impacts to Earth’s systems unfolding across each continent. With research and insight, Charles Eisenstein details how the quantification of the natural world leads to a lack of integration and our “fight” mentality. 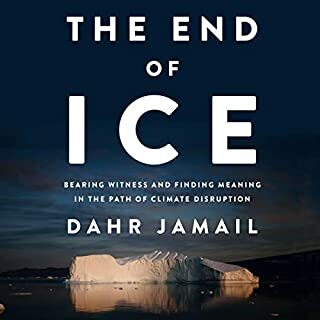 With an entire chapter unpacking the climate change denier’s point of view, he advocates for expanding our exclusive focus on carbon emissions to see the broader picture beyond our short-sighted and incomplete approach. This refocusing away from impending catastrophe and our inevitable doom cultivates meaningful emotional and psychological connections and provides real, actionable steps to caring for the Earth. In this highly original work of lyrical reportage, Elizabeth Rush guides listeners through some of the places where this change has been most dramatic, from the Gulf Coast to Miami, and from New York City to the Bay Area. For many of the plants, animals, and humans in these places, the options are stark: retreat or perish in place. Weaving firsthand accounts from those facing this choice with profiles of wildlife biologists and other members of the communities both currently at risk and already displaced, Rising privileges the voices of those usually kept at the margins. From the award-winning British author - a poet's noir narrative that tells the story of a D-Day veteran in postwar America: a good man, brutalized by war, haunted by violence and apparently doomed to return to it, yet resolved to find kindness again, in the world and in himself. 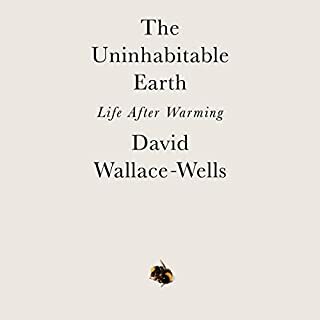 The time we've been thrown into is one of alarming and bewildering change - the breakup of the post-1945 global order, a multispecies mass extinction, and the beginning of the end of civilization as we know it. Not one of us is innocent, not one of us is safe. Now what? 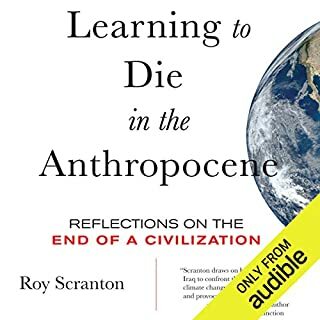 Whether writing about sailing through the melting Arctic, preparing for Houston's next big storm, watching Star Wars, or going back to the streets of Baghdad he once patrolled as a soldier, Roy Scranton handles his subjects with the same electric, philosophical, demotic touch he brought to his groundbreaking New York Times essay, "Learning How to Die in the Anthropocene". 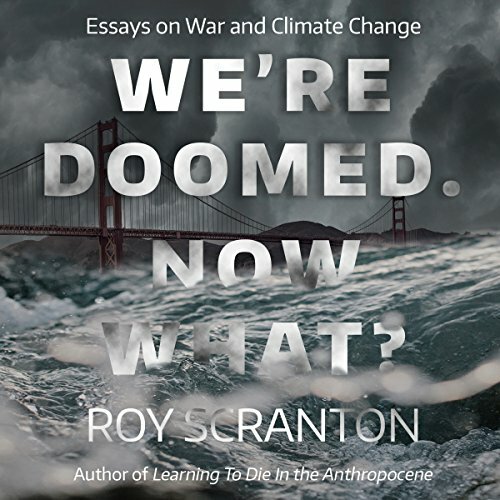 With the exception of those chapters about the Iraq war and our environmental existential crisis, this is an academic work written mostly for other postmodernist writers and thinkers. Scranton's baroque intellectual ramblings reflect the academic culture of the high humanities in which thought carries the same power as facts and data. As a scientist, I am not unfamiliar with this sector of the academic world and I believe fervently in the intrinsic worth of the humanities. As an administrator, I have invested in such scholars and their departments. That said, this book is mostly tedious and pedantic. Scranton pasted together a collection of his writings and gave the book a clickbait title. It is a cheap shot, rather than an integrated serious work for an intellectual readership. The thesis suggested by the title and tagline is a critically important consideration for all humanity. How do we live our lives in the reality of the anthropocene? We need a body of thought and practice that addresses these issues. As a father, I hope that my children can come to a richer understanding of the human condition in a time of collapsing civilization. Large chunks of this book have little to do with this. Were I a competitive academic required to be familiar with my professional culture, I would read this work with the intense attention that I usually apply to my own academic niche, the carbon balance of forests. The science presented in this book is mostly valid, but poorly described. As such, there is little here that has been worth my time. Unless you are an untenured assistant professor in the English department of a major university, you will not be deprived if you pass on this book. Not what I expected but good. Very good. I purchased this book based on some reviews I had read on Facebook ads and Amazon. The premise of the title follows my overall worldview about climate change -- that it's irreversible and will get worse. The "Now What" was what I was intrigued to hear. I've come up with my own ideas about "Now what?" but I was eager to hear how somebody else has decided to live with the problems we face. To read that the book brought the author's experiences as a combat veteran into his perspectives was another intrigue since it is completely different from my life experience. In short, I was hoping to learn something new from his perspective. The book was not at all what I expected. In truth, based on the title, the entire book could be edited down to the first and last hours of the text. Everything else had little to do with the title at all. 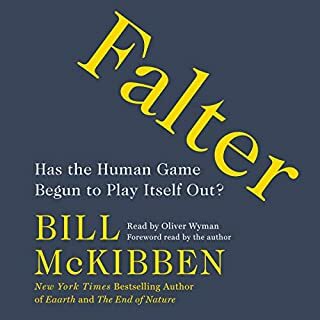 From his life story, his time in the military, literary critiques, philosophical discussions on the nature and utility of thought, nearly everything sandwiched in between the first and final chapters appears to this listener as only relevant to the discussion in a stream of consciousness sort of way. Scranton goes on tangents -- long protracted tangents. The book itself seems to be mostly tangents rather than sticking with the core premise of the title. 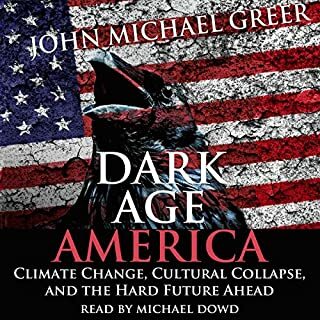 So if you're only looking for a better sense of how to live in a doomed world, simply listen to the first and last hour of this book. Skip everything in between. You won't get any concrete answers. In fact, the one tangible solution he offers is a call for a global socialist order -- something I feel is about as viable in the real world as some ecological utopia. I think he may be right. A global socialist order might be the only way to delay the apocalypse he sees. But it's far from an ideal solution and carries a high potential to further systematize and/or even exaggerate the global problems we face. In many ways, it felt like an act of intellectual laziness to pull the socialist card. After all, we humans are really doing what we've always done. We've always burnt, killed and disregarded the consequences of our actions. We're probably better at watching our carbon footprint today than ever in our history. But the scale is different now. And turning to socialism to reign in our evolutionary behaviors is like trying to domesticate a wild animal. You may succeed. But it isn't the same animal anymore. In other words, socialism requires a different species for it to work. We homo sapiens are simply not geared for socialism any more than a bison is geared to pull a plow. But if you enjoy learning from other people, jumping into the minds and experiences of others who are well educated and extremely thoughtful, then you may yet enjoy the content between the beginning and the end of the book. 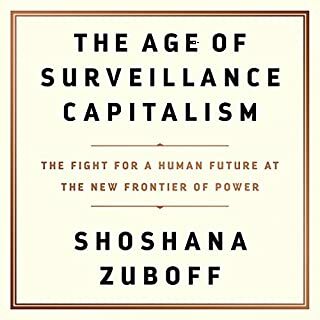 Although I skipped several sections which I didn't find much relevance or importance for me, I found that there was still a lot of thoughtful discussions on topics which I may not have ever picked up had it not been hidden in the Trojan horse of a book on how to live in an age of apocalypse. For me, a good book is a journey and adventure of thought and reflection. And predictability is the enemy of adventure. In that sense, I am grateful that the author chose to insert his tangential thoughts and experiences into the book. For artistic and intellectual pursuits, I am a willing sucker for this ruse. Scranton appears to lack an editor of any kind. But this allows the reader to truly enter into his mind and heart in ways that any good editor would censor or block. So although I am somewhat critical of the structure and content of the book, I am also somewhat grateful. So if you're looking for a book with a clear 12-step plan to save our species, you will be disappointed and extremely bored. But if you enjoy learning from the wisdom, thoughts, experiences and education of others, no matter what your ideology, then this is a fine place to embark on your next intellectual adventure. I would, however, highly suggest that the book be read with a small group of friends. It's simply too rich and covers too much ground to sum up for somebody else in a brief explanation.